We want to give your child a truly memorable party. All children will be treated to a head to toe pampering session. Plus, each child will get to chose at least two gifts to take home from our selection of jewellery and head bands. 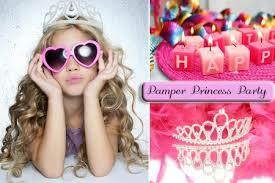 The birthday girl will get to chose a tiara as a keepsake of her special day. Got any budding Lady Ga Ga singers in the party? We invite them to show off their talents on our double microphone karaoke machine. We have catalogue of over 200 songs, from the classic Abba hits right through to todays floor jammers.